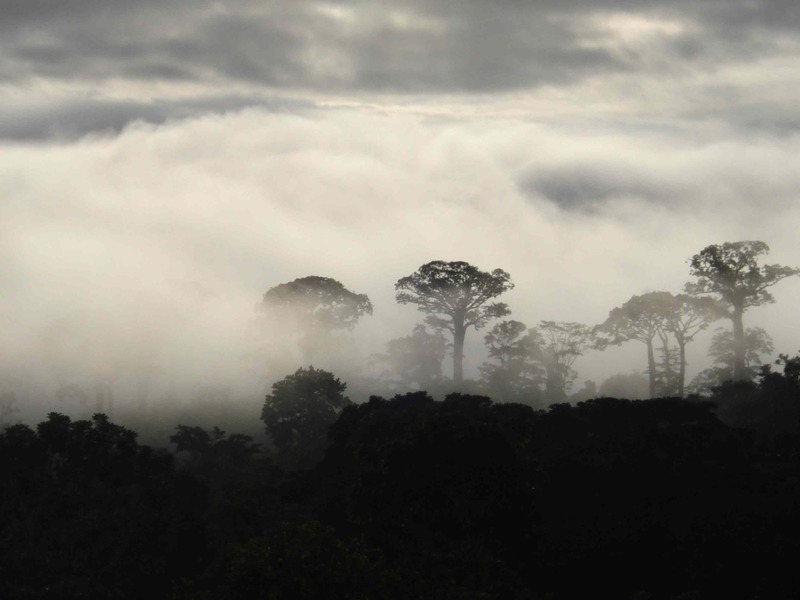 Day 1: Darien National Park– Departure in 4 x 4 from Panama City after breakfast. We travel along the Pan-American Highway toward the border of Colombia. After several police checkpoints, we travel through a Kuna Indian reserve (Comarca) and stop at a small Kuna market in Ipeti. Once in the Darien Province the paved road ends and we begin travelling on rough terrain. We will lunch at local restaurant with simple food based on rice, beans and meat (usually chicken, pork or beef). 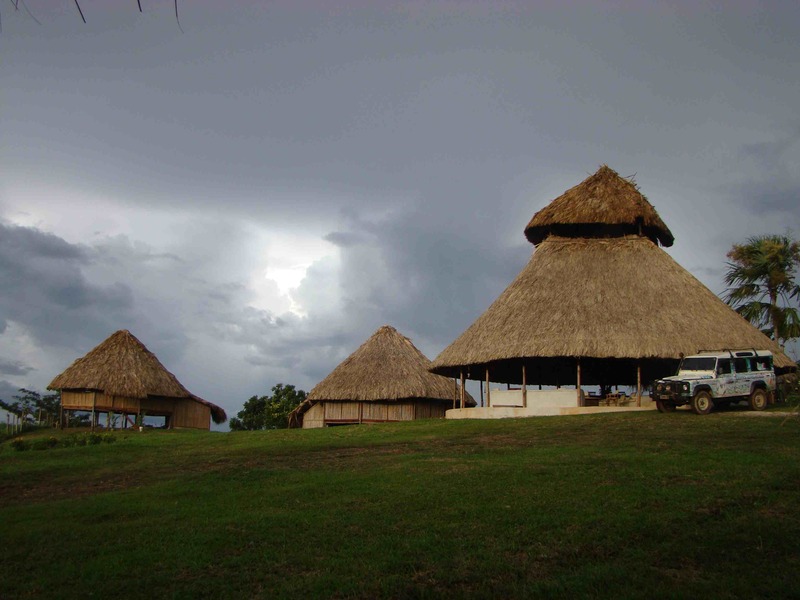 After lunch we continue to Filo del Tallo ecolodge, located inside a Wounaan community village. This lodge offers three wooden houses with the roof made of palms. The place offers spectacular view of the valley of Meteti, located in the heart of Darien. This will be our camp for the next three days. Night hiking tour with our local guide. Day 2: Mangrove Cruise and visit to Boca Lara a Wounaan Community- Depending on the tide, we depart to Boca Lara community by motorized canoe sometime after breakfast.. On our way to Puerto Quimba, we may observe different bird species such as herons, kingfishers, ibis and many others. Marine wildlife can also be observed. At the community we will learn about the way of life of the Wounaan people and will share their traditional dance and display finely crafted handcrafts. The Embera and Wounaan men are renowned for intricate sculptures made from cocobolo and Tagua, also known as vegetable ivory. The women are expert basket weavers, made from two different kinds of palm leaf fibers. The women dye the palm leaf with natural dyes they collect in the jungle. Lunch prepare by the Wounaan women at the community. Return to the hotel in the afternoon for dinner. Day 3: Visit the Old Spanish Forts of San Lorenzo del Darien- This day you we will drive to Puerto Quimba to take a boat to the Bay of San Miguel. Here we will visit the capital of Darien, La Palma an old town that hasn´t change for the last 50 years. We will visit the Old Spanish forts and will go back in history when the Spaniards Conquistadores arrives to this land. We will learn about the important ecosystem of the mangrove forest surrounding us along the river and if the tide permits we will be able to walk to the Bueanvista beach. Also this is a great place to spot dolphins. Return to the lodge in the afternoon for dinner. Day 4: Deapart Panama.- After breakfast we will hike the forest around Filo del Tallo with our naturalist guide to learn about the Neotropical biodiversity of the area. Lunch at the lodge. Return to Panama City in the afternoon. Includes: All transportation, 3 nights of lodging in an ecolodge, boat tours, all meals, expert bilingual guide and taxes.